This pale lager with lemon zest is perfect for the summer months, so it just seemed the obvious choice to link the beer with Pride (that happens at the beginning of the summer). Just in case you needed an additional reason to try this beer, it also supports a great cause: The Human Rights Campaign. An organization that works toward LGBTQ equality. 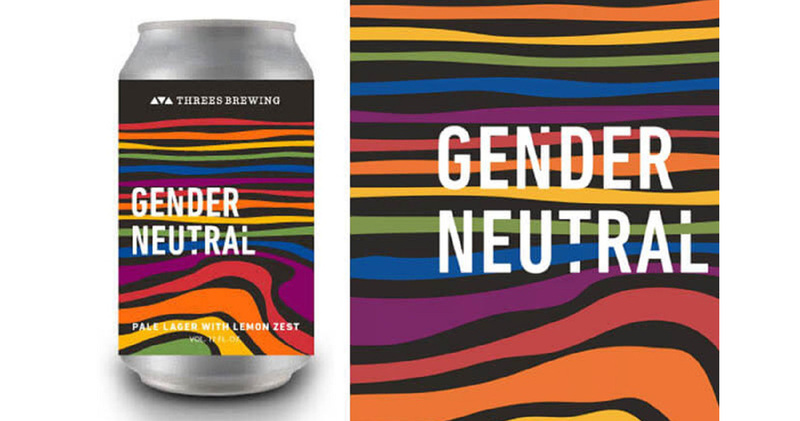 Gender Neutral can be pre-purchased and picked up at the brewery. Threes Brewing is not sure whether this beer will become a flagship beer or whether it will stay limited release, so if you like it…Let them know! You wouldn’t work out without warming up and you definitely shouldn’t party without a warm-up either. Here’s your pre-Pride warm-up; A huge party at Threes Brewing. Spinning will be DJ Kandylion plus there will be special edition merchandise and of course, beer, but not just any beer… Gender Neutral beer!